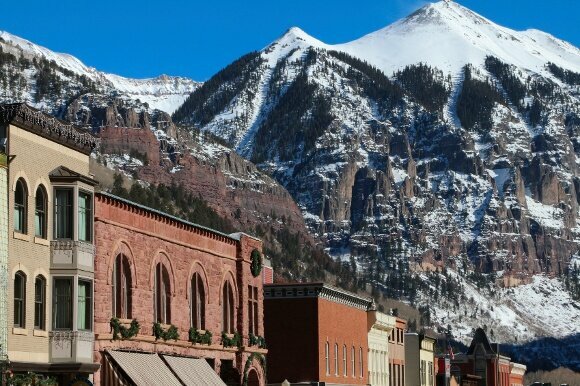 Telluride isn’t just a great place to hit the slopes, it’s also a hotspot for festivals and events year round. Even those who don’t ski or snowboard will find fun and adventure in Telluride’s festival schedule. Plan to visit Telluride in 2016 to catch one of these seven festivals that offer fun for everyone. Fall in Colorado can be just as awe-inspiring as the winter which makes it a great time to visit Telluride for their Blues and Brews Festival. Taking place September 15th through the 18th, visitors can camp out for the weekend and enjoy celebrity blues bands and Colorado’s best beer. Tasting, listening, and even a kids’ center make this a fun and family friendly Colorado getaway. The Telluride Jazz Festival has been bringing the best jazz to the mountains since 1977. The weekend long affair attracts top acts nationwide to play on one of two outdoor stages. The venue is picturesque and the bands are rocking. Plan to visit Telluride August 5th through August 7th to catch the 2016 Telluride Jazz Festival. Have a fun time with the fungi at Telluride’s 36th Mushroom Festival taking place August 18th through 21st in 2016. This eclectic festival delves into the history, the science, and the wide array of tastes of these little ‘shrooms. Enjoy meals featuring mushrooms by celebrity chefs and listen to top scientists who explain how mushrooms are revolutionizing medicine and more. If you love mushrooms, you can’t miss this educational, fun, and tasty festival. If you love to feel your heart quicken and your skin crawl, the Telluride Horror Show is a three-day festival you just can’t miss. Two theaters play the latest horror, fantasy, and sci-fi films with frequent panels and events to join horror fans together. The 6th annual festival is scheduled to commence October 14th through the 16th. Come for the opening pig roast and stay through the Werewolves Unleashed closing party. If you’d rather spend an afternoon doing asanas more than skiing moguls, consider a trip to Telluride during the four-day Yoga Festival. Scheduled for July 21st through the 25th, the 9th Annual Telluride Yoga Festival invites yogis of all experience and ability to learn more about the practice in the beautiful mountains of Telluride. Bring the kids to the Ah Haa camp offered to teach little yogis about the practice and culture of yoga. For yoga enthusiasts and teachers, the Telluride Yoga Festival is a must-attend event. For families and friends that love Colorado in the winter but hate the crowds during ski season, Holiday Prelude offers some good old-fashioned Christmas fun and entertainment in the ski off-season. Join this two week celebration to buy local gifts, decorate cookies, sled, ski, and see the big man himself by riding the North Pole gondola. Not only is the Holiday Prelude a great time to soak in the Christmas season but it’s also a great time to hit the slopes for discounted fees. The Holiday Prelude takes place the first two weeks of December. Enjoy Telluride in the spring with flowers blooming and the mountains singing with today’s top bluegrass bands. The Telluride Bluegrass Festival takes place from June 16th through the 19th to return Colorado to its Americana roots. Bluegrass stars like Emmylou Harris, Greensky Bluegrass and Leftover Salmon perform with the mountains of Colorado as the backdrop at this breathtaking festival. Telluride isn’t just about the slopes, it’s also about festivals. With a packed schedule of festivals year round, there is one for every family member and friend. Block your calendar and book your luxury vacation home rental to attend one of these phenomenal Telluride festivals.